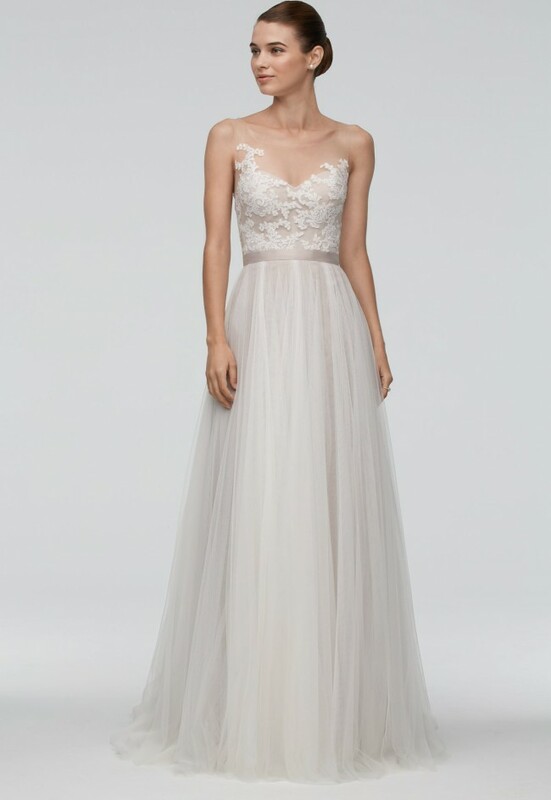 On top, vintage-inspired Tangee lace with a softly sloping, sweetheart neckline and illusion tulle straps. Below the waist, a soft netting skirt with a poly lining and very modern spirit. The combination is effortless, especially when you finish the gown by tying it all together with a double-faced satin ribbon. The contrast of lace and the netting sweep train keep it among the favorites of our bridal collection. Super comfortable, had it on all night and couldn't feel any better. Yes, altered in the chest and waist area as the dress was slightly bigger than my size. A bustle also available if prefer to have a little easier post-ceremony time. Once you send a message, Katarina can invite you to purchase the dress.